Weaving the soulful passion of blues with the honesty of folk, Mr & Mrs Something offer a refreshing taste of hope that feels like coming home. Mr & Mrs Something are husband and wife Benjamin “Bino” and Chelsea Peck. One sunny day in early 2010, Chelsea began to jam a tune on her harmonica. Bino proceeded to harmonize with her on his harmonica. Out of that jam was born their first collaborative song, “Home Will Be." After a year apart—Bino in California and Chelsea in Washington—they reunited in Seattle in 2011, and that led to more songwriting. Their first demo featured the couple performing 12 different instruments. The newly forming duo was a match made in heaven—romantically and musically. In 2012, Bino and Chelsea tied the knot and soon began performing concerts, as well as writing and recording film music. The Closure Soundtrack included the song, “Break These Chains," which won a Seattle radio contest, Spirit 105.3’s Local Music Project, thanks to a huge fan vote. The industry relationships that ensued have been invaluable—not only providing the couple with meaningful friendships and music business advice from the incredible people of Centricity Music, but also paving the way for the Somethings to work with Grammy-winning engineer/Grammy-nominated producer Mitch Dane in 2015 for their first full-length album, Setting Sail. After building steam in 2016—producing, writing, and performing while holding down day jobs on the side—Mr & Mrs Something embarked on a full-time music journey with their first nationwide tour in 2017. Moving out of their house and onto the road, “The Home On Wheels Tour” was a leap of faith that found footing in the warm reception of a growing following coast-to-coast in sixteen states. Despite the undeniable success of the tour, 2017 was fraught with loss and hardship as the Somethings encountered challenges in their identities, marriage, family, friendships, and music, not to mention the difficulties inherent to life on the road. However, like a good book, Mr & Mrs Something turned the page, facing their hardships as opportunities to grow and move forward in hope, humility, and love. Emerging refreshed and stronger in 2018, the couple hit the studio again. Enlisting the gracious help of Setting Sail’s Mitch Dane, along with lifelong friend Sean Beck, they recorded their second full-length album, Turn the Page. Released on August 10, 2018, Turn the Page was inspired by the Somethings’ own life stories, as well as the struggles, brokenness and need for hope shared by all. 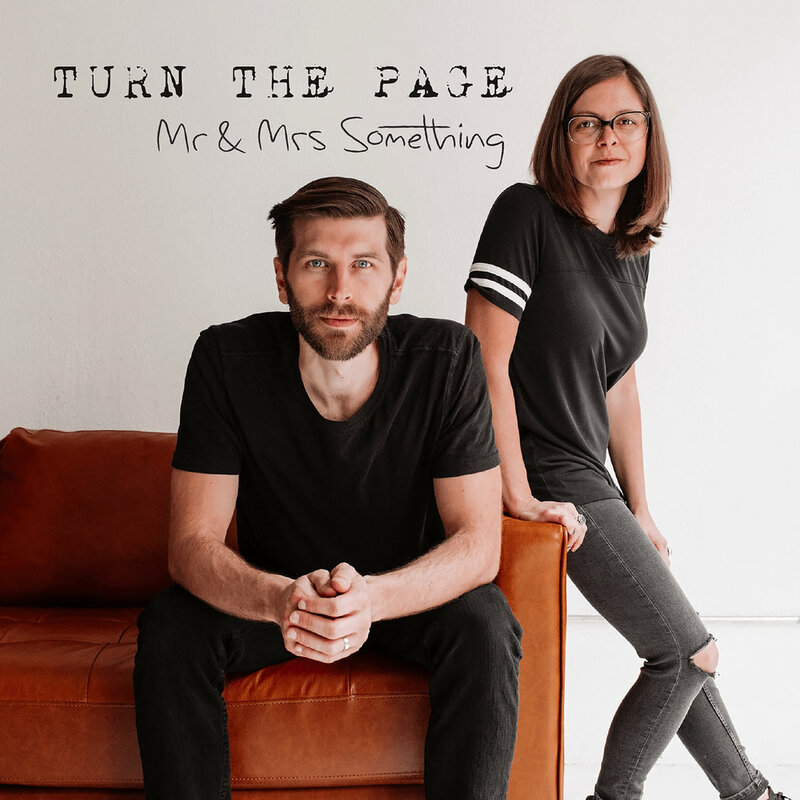 Mr & Mrs Something are currently back on the road with their five-month “Turn the Page Tour,” equipped with a burning desire to encourage their listeners amidst hardship, struggle, and whatever the story of life holds. Come see them somewhere, sometime ... they are something you won’t want to miss. Bino had previously formed a band with his brother, Jerome, called “The Something Bros." When Chelsea married Bino, she took his name, and they became Mr. & Mrs. Peck. When she married him musically, she took his musical name, and they became “Mr & Mrs Something."